Rimmel is my favourite drugstore brand and whenever they bring out new products I am straight in Boots buying them!! This works out very expensive but too be honest it is very rare that I am not really impressed with the Rimmel products I purchase and this product is no different, it is another really great product from Rimmel. 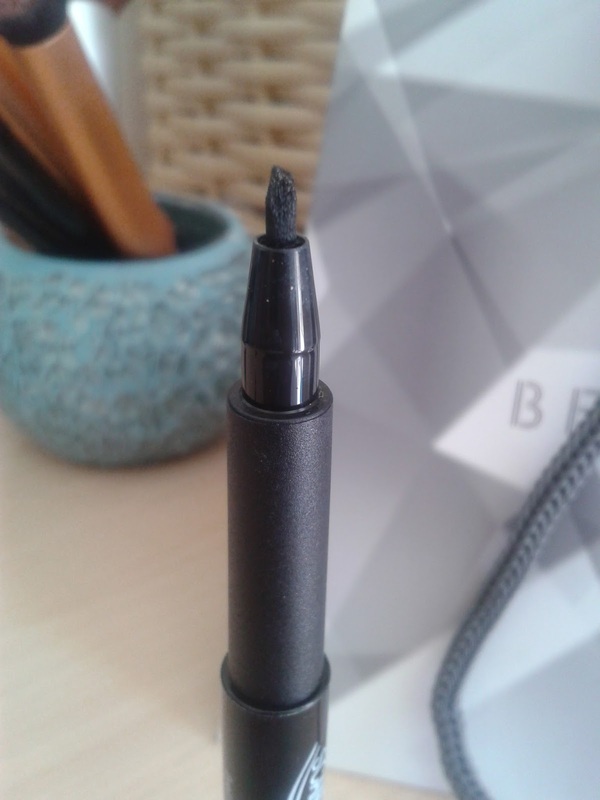 I have been using the Maybelline Gel Eyeliner recently and I love it but it can be quite time consuming especially in the morning when I'm rushing getting ready for work, so this eyeliner which is more like a felt tip pen is really handy and easy to apply. 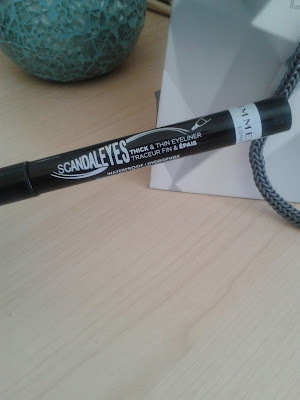 It has a 3D tip so you can choose whether you want a thick or a thin liner and I also find it great to use the thin side to get into the corner of my eyes then the thicker side to wing it out. I find this really easy to use and on nights out I love using my gel eyeliner but then I pop this in my handbag and use it for touch ups. Plus this is waterproof so if you used your gel eyeliner then went over the top with this then it will not go anywhere all day/night!! 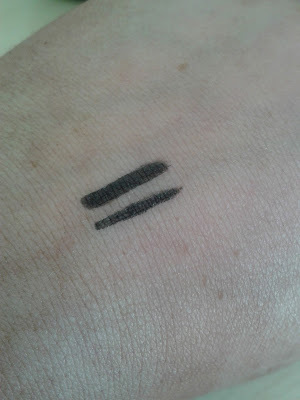 I am saying use this over the top of your gel eyeliner because I don't find this black enough for me. I like quite a strong liner especially at night and this on it's own just isn't pigmented enough but over the top of another more highly pigmented liner it will just hold everything in place. Although in the day when you don't want such a strong eye this is great. There is a downside to this product and I'm not sure if it is just mine or not but I find that it is very dry as if it is going to run out soon, like a felt tip pen does, but that can't be as I only got it the other day. This may also be the cause of the colour pay off not being great and the only thing I can think of is that I have picked up one that was used to test in the store. Let me know if you have tried this and what you thought.